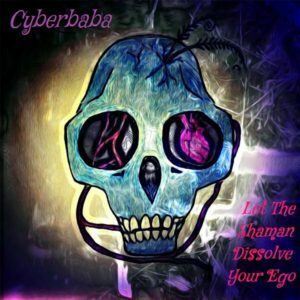 Cyberbaba – Let The Shaman Dissolve Your Ego! Cyberbaba is a psychedelic project from a Russian-Serbian producer currently living in Serbia. Behind this project is Milosh Omkor, founder of Karmatonic Records, also known as Technoid Mutant, Effectator, and Omkor. Milosh created the Cyberbaba project in 2008 and began releasing underground darkpsy under this name in 2013. Let The Shaman Dissolve Your Ego! marks the full-length debut of Cyberbaba, originally released in 2016 on Kissthesound Records. Here we find crispy forest and progressive trance mixed with techno, a psychedelic sound that will bring joy to followers of the genre. All music written and produced by Milosh Omkor. Mastering by Kissthesound Records with artwork by Technoid Mutant. MP3 Download | FLAC Download | WAV Download · Download count: 8,201.